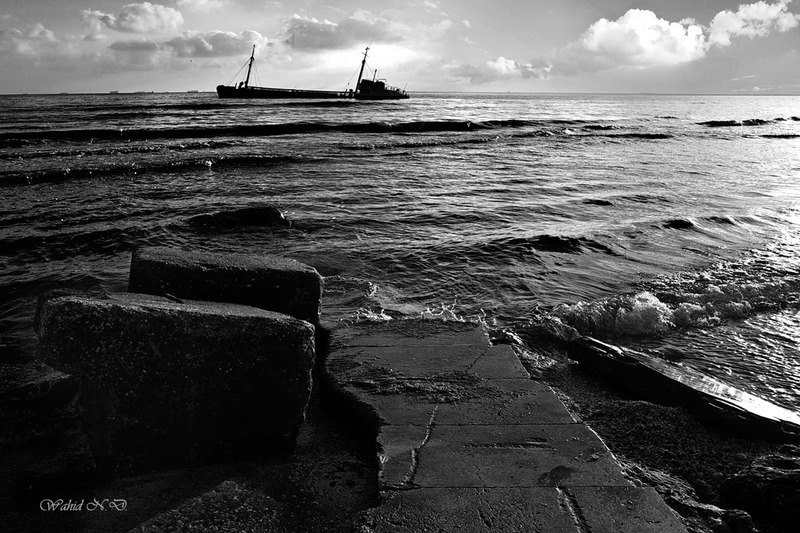 Beautifully composed, the rocks in the foreground form a leading way to the ship wreck..Great choice of b/w, it adds drama to the scene. Тревожный снимок. Похоже на крушение корабля. Great composition and exposure... Wonderful image! Thanks a lot, dear friend. Another Excellent work, my Friend!!! !